Stylish, comfortable and perfect for everyday. 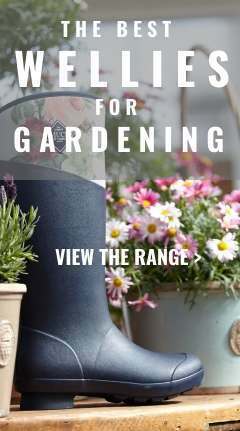 Endorsed by The Royal Horticultural Society, these are a perfect gardening wellington. Comfort rated for temperates ranging from zero to 18C, they are also ideal for year-round wear, and will keep you comfortable in the garden whatever the weather is doing.